Rosie, Hilary and me together again! We met up in Quimper after Rosie's daughter's wedding and journeyed on to Plogistal Saint-Germain to a time share that Hilary had organized for us. 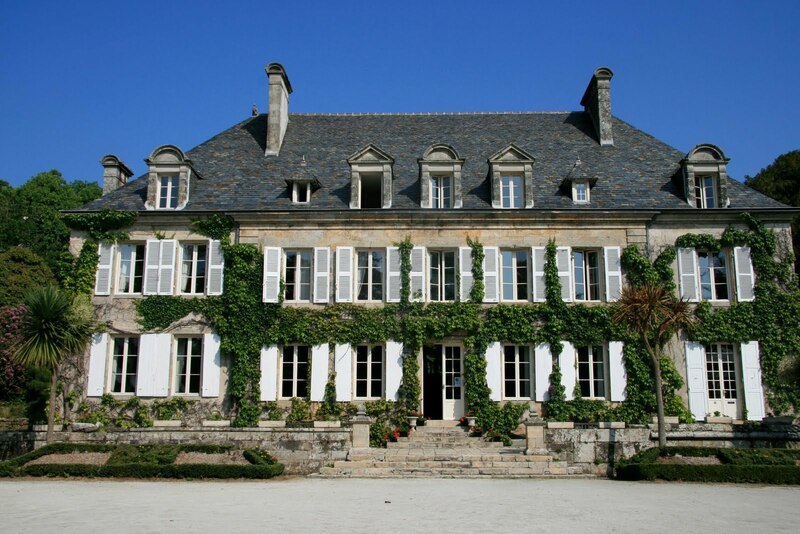 That would be the manor with all the ivy. But we stayed in the more modern section with a townhouse very nicely kitted out. 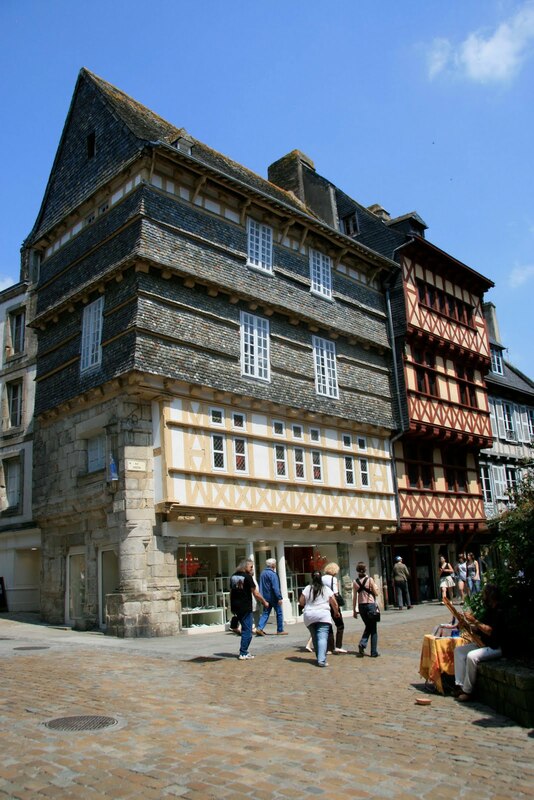 These old buildings on the right are in Quimper and date to the XVth Century. 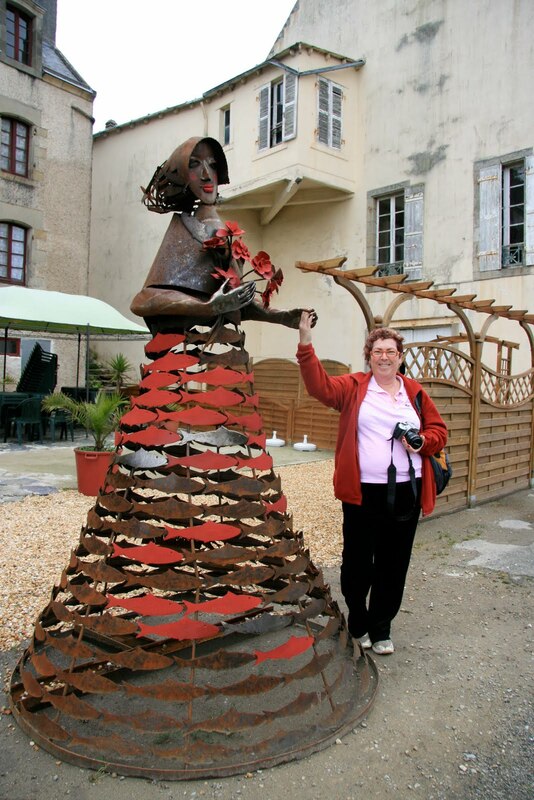 We had a great week touring the countryside and on a rainy day, doing gelatin plate printing and rust dyeing. We spent a few hours touring around the harbour at Duarnenez which I was happy to see as my daughter is there on a regular basis with her tall ship for festivals. Another day tour took us out to La Pointe du Raz which is possibly the most westerly point in Europe, but this fact is hotly contested by the Portuguese. We had lovely lunches out and managed to pick up the fixings for dinner. One of our best finds was after we had watched the fishing boats come in at Guilvenic where we bought fresh langoustines, and the fish shop cooked them on the spot. Of course, it wouldn't be France without fresh croissants and pain au chocolat for breakfast! The countryside was very pretty and we managed to take our fair share of photos of hay bales, coastal rocks, menhirs and old churches. Now the challenge is on to produce something arty out of our memories and collection of photos.